painting by Aelbert Cuyp (1620-1691). 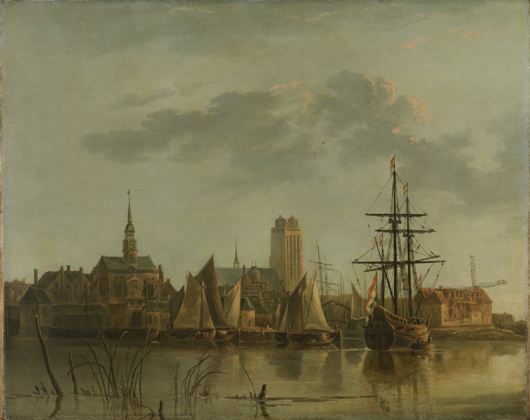 An artist most known for works that feature handsome livestock, Cuyp often used recognizable town features as a backdrop, and on occasion did a proper cityscape. His favorite subject was the venerable city of Dordrecht, and he painted it in many moods, though none so lovingly as this example.